Over the past few years I’ve delved into the topic of customer experience, uncovering how new technologies are empowering businesses to know more about their customers than ever before. While there’s nothing wrong with beer getting smarter at the shelf (and the data that is responsibly collected) it’s obviously not a good idea for businesses to take things too far. No one likes that “close talker” at a cocktail party. They can be downright creepy. But avoiding the creep factor isn’t easy, especially when powerful capabilities like Machine Learning and Artificial Intelligence (A.I.) are on the guest list — and usually depicted as creepy, malevolent forces in the world of sci-fi (I’m looking at you Blade Runner, Terminator and Westworld). The reality is that A.I. and Machine Learning don’t have to be creepy and they shouldn’t be. It’s what businesses do with their data that matters and how mutual value and trust is created with customers. So what to make of recent comments from Elon Musk who believes the “global race for A.I. will most likely be the cause of World War III?” Or the notion that Musk has embarked on a “billion dollar crusade to stop the A.I. apocalypse?” No doubt about it, these are bleak, doomsday predictions of the highest order, coming from a modern-day visionary with access to bleeding-edge info, and they should be taken seriously. Thankfully, other tech luminaries have a much sunnier disposition about A.I. and Machine Learning. Gates and Zuckerberg’s thoughts are backed by serious research. IDC is predicting cognitive/AI capabilities will figure in to some 40 percent of digital transformation initiatives by 2019. 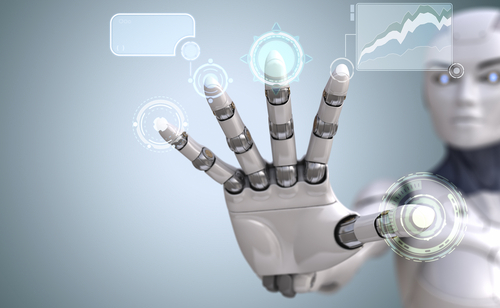 At SAP’s recent TechEd event, for instance, it was revealed that machine learning can help the $2.4 trillion fashion industry with a more personalized consumer experience, according to Margaret Laffan, Director of Business Development, Machine Learning at SAP. As you can see from this video demo of what this level of personalization looks like, it becomes much easier to understand why A.I. and machine learning can improve people’s lives without becoming creepy.